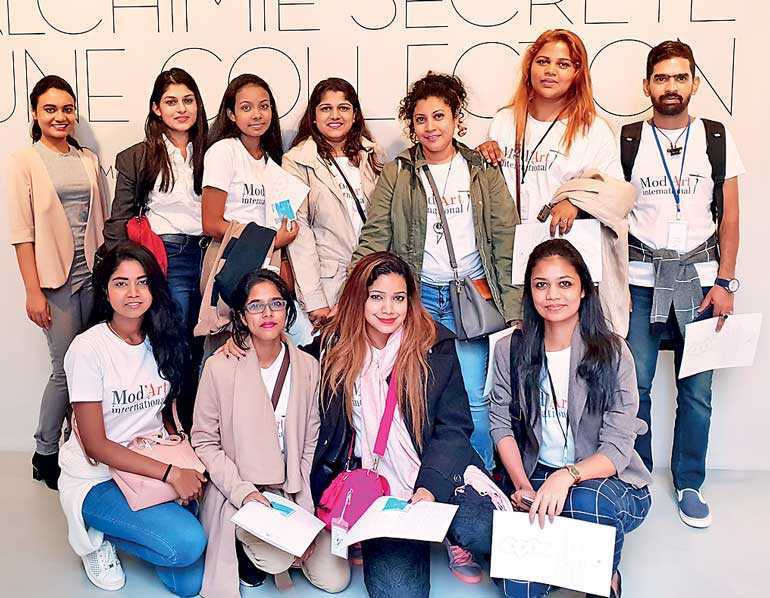 In September, the undergraduate fashion design students of Mod’Art were given the opportunity to visit Paris and Milan as part of their curriculum, taking in a series of trade shows, industry visits and workshops over their 10 days of stay in Europe. The first few days consisted of academic workshops at the main Mod’Art International campus in Paris, followed by visits to the world-famous PremierVision trade show, Azzedine Alaïa’s exhibition, factory tours, and shop visits. One of the students shared her experience about the lectures that were delivered by Mod’Art academics. “The teaching was of a high level with the latest information which supplemented our degree module content,” she said. 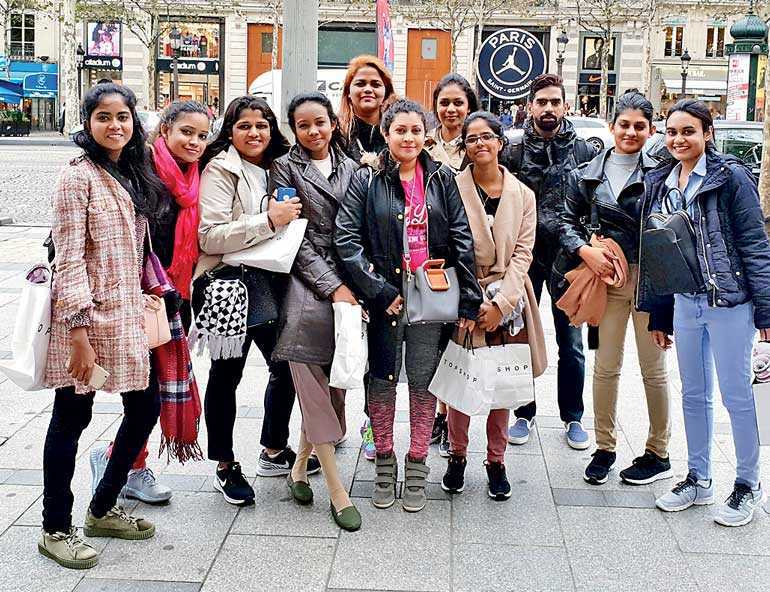 The students enjoyed a Parisian shopping experience at the Galeries Lafayette Haussmann, the world-renowned department store to prestigious brands, such as Chanel, Dior, Hugo Boss, Burberry, Maje, and Louis Vuitton, to name a few. Walking through the streets of Paris, they explored the different buildings with interesting modern street art exhibitions. “As someone who is reallypassionate aboutstreet-wear, it was great tosee what the vibe in Paris is like comparedto SriLanka,” saidsecond year student Anjalie Athukoralage. After seven days in Paris, they headed towards Milan, the city that strides out in style from its fashion houses to its cultural delights. The students went on factory and museum visits which were followed by an engaging question and answer session with the host. ModaPelle Academy in Milano conducted a workshop for the students andthey had an interactive leather bag-making session by a highly qualified technical designer. 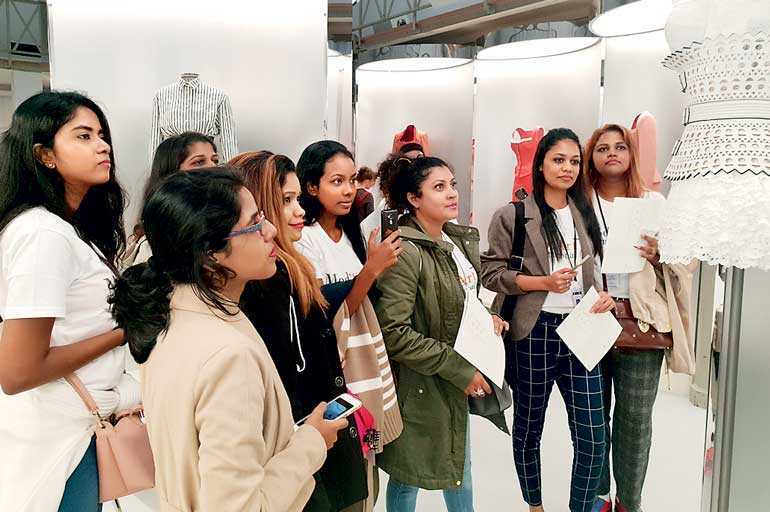 The industry study tours to fashion capitals are designed to give the students an experience that will benefit their career. The tours are a compulsory part of their three-year degree study at Mod’Art, offering a unique opportunity to enrich their learning. “The tour gave us a real insight into the working practices of fashion capitals like Paris and Milan. 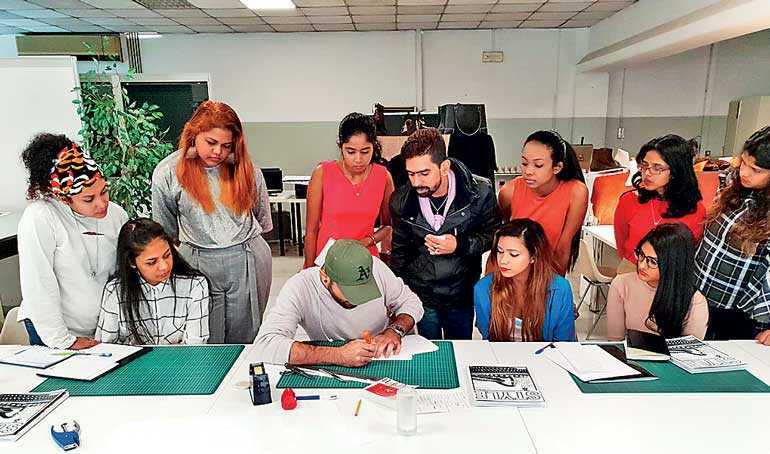 The museums, exhibitions,and trade show visits have actually given me additional knowledge to research for my dissertation,” said Bachelor in Fashion Design student Uvini Gangabadage. “The study tour to Paris was a fantastic global experience. The lectures at our main campus were great and the company visits were really insightful. The week was jam-packed with academic and social activities,” said second year student of Bachelor in FashionDesignVindyaKeerthiratna.“The visit to Premier Vision, Fondaizone Prada, Carl Laich, and many morein September was an exceptional experience. It enhanced my learning and made it come to life,” saidsecond year student of Bachelor in Fashion Design Aslam Khan. 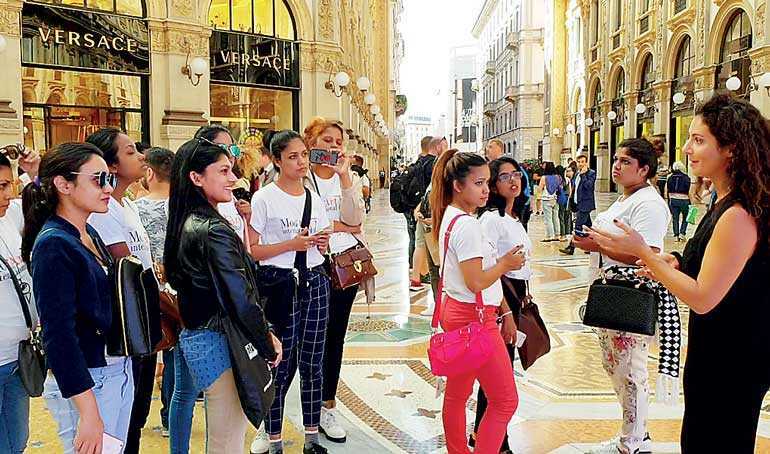 As a student of the Mod’Art degree program at the Sri Lanka branch,a student has the opportunity to take part in the international study tour,gain global exposure and hands-on experience, andexplore France and Italy with the rich fashion culture. Now it’s understood why the Mod’Art Degree could be the best for an aspiring fashion designer. For more information, visit their website at modart.lk. For more information, call 779988285/112554398, or visit the campus at No. 3, Coniston Place, Colombo 7. 1. All comments will be moderated by the Daily FT Web Editor. 2. Comments that are abusive, obscene, incendiary, defamatory or irrelevant will not be published. 3. We may remove hyperlinks within comments. 4. Kindly use a genuine email ID and provide your name. 5. Spamming the comments section under different user names may result in being blacklisted. How was the Rajapaksa administration able to give uninterrupted power from 2006 to 2014? Colombo Development Dialogues: Is SL ready to face a rise in Asian asylum seekers to Lankan shores? All the content on this website is copyright protected and can be reproduced only by giving the due courtesy to 'ft.lk' Copyright © 2004 Wijeya Newspapers Ltd.